While the world gears up for a 5G future, the Moon will get its first 4G setup in 2019. That’s one small step for 4G, one giant leap for Vodafone and Nokia. 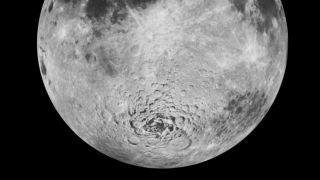 The Moon’s 4G network will be used to support Berlin-based space exploration company PTScientists in studying the satellite’s surface. The mission is being privately funded, with Vodafone Germany, Nokia and car-maker Audi joining forces to make this come to pass. Nokia Bell Labs will be creating a space-grade "ultra compact network" for Vodafone’s base station that won’t weigh more than "a bag of sugar". The masts will communicate with the two lunar quattro rovers that Audi is manufacturing. The rovers will be used to send back data and live stream video of the lunar surface – in glorious HD, mind – to the Earth-based scientists. They will also be studying Apollo 17’s lunar rover left behind in 1972 by the last astronauts to land on the Moon.